I’m a fan of squash in all shapes and sizes. Butternut is excellent mashed with butter or cubed, roasted and tossed in a salad. Spaghetti squash is versatile as well. I often use it in place of pasta smothered in a hearty tomato meat sauce with added broccoli florettes and shredded zucchini, which is a great way to sneak in additional vegetables without the family being any the wiser. If you’re like me you spent most of your life thinking a pumpkin was something you carved and then tossed when Halloween was over. In the past few years, however, I have discovered the joy of eating pumpkin so carving it up to leave on the doorsteps seems such a waste. Baking is a no brainer, from muffins to loaves to pie, but I’ve also found it’s a wonderful addition to soup. It acts as a thickener, giving it a heartier feel without having to add cream or flour. And because it’s pureed, it’s also a “hidden” vegetable you can sneak past the veggie-phobes. I’ve added it to stews and chilis as well and its mild flavour just blends right in. Kale. Aaaaah, kale. One of the longest growing greens because it’s so impervious to the cooling weather, kale is delicious in the fall, even when the tender stalks suitable for salad have given way to crunchier leaves. 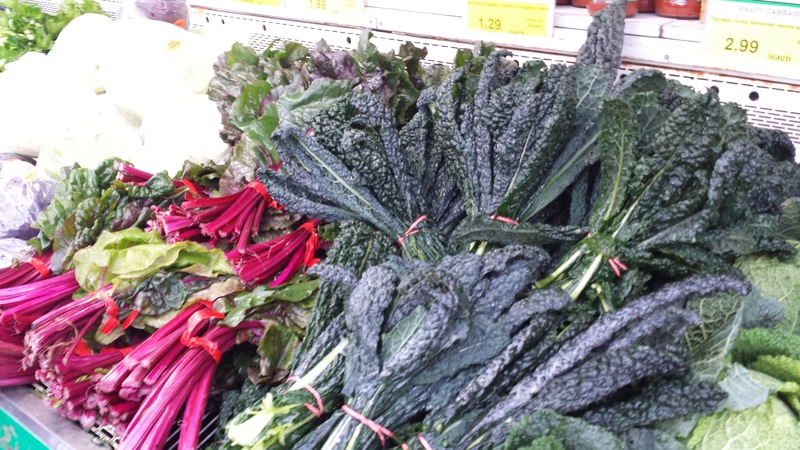 Steamed, stir fried or, you guessed it, added to soup, chilis or stew, autumn kale loses it’s tougher texture without losing all the vitamin goodness it offers. I love experimenting with food and this is my next adventure, raw fermented sauerkraut made with savoy cabbage. I might even try kimchi, too. Cabbage is highly underrated as a vegetable. Did you know it has scads of Vitamin C?! It’s also high in fibre which seems surprising when you compare it to bran–they have nothing like the same texture. (Ok, it has WAY less fibre than bran, but still.) 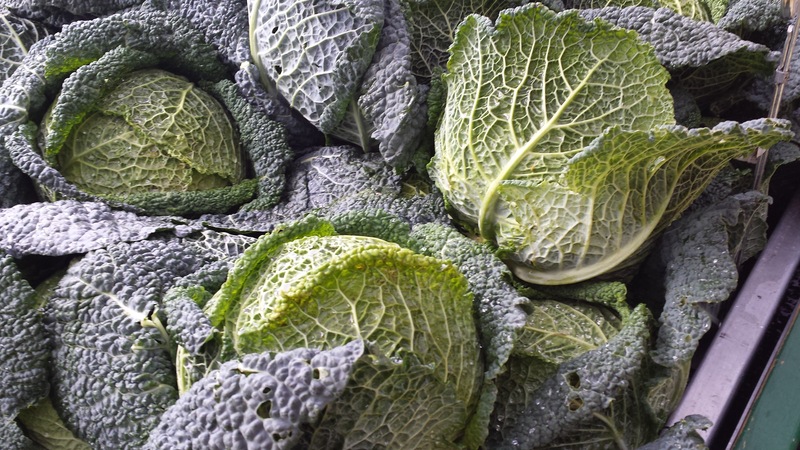 Prettier than it’s more commonly known cousin, the cannonball cabbage, savoy cabbage has a mild, earthy flavour. Steam it up it with some butter or sauté lightly in a stir fry and feel the goodness warming you from the inside. Oh yeah. 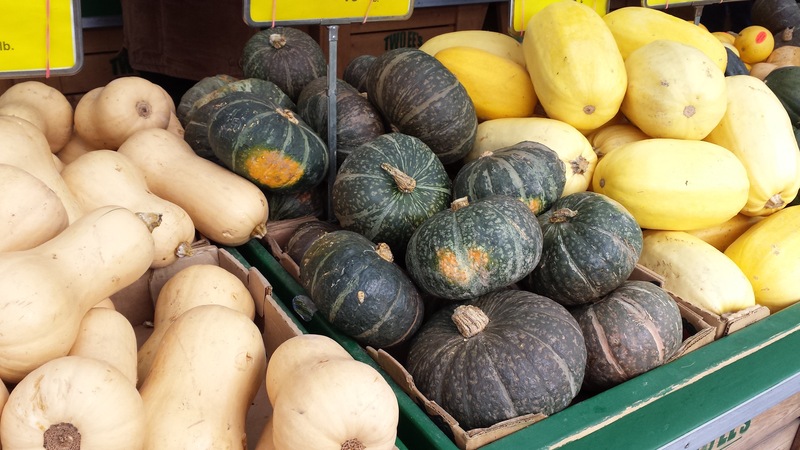 Be sure to check out your own local market for all of the autumn harvest comfort foods available and don’t be afraid to try something you’ve never tried before. You might just discover as I did with pumpkin, it’s delicious as well as attractive. 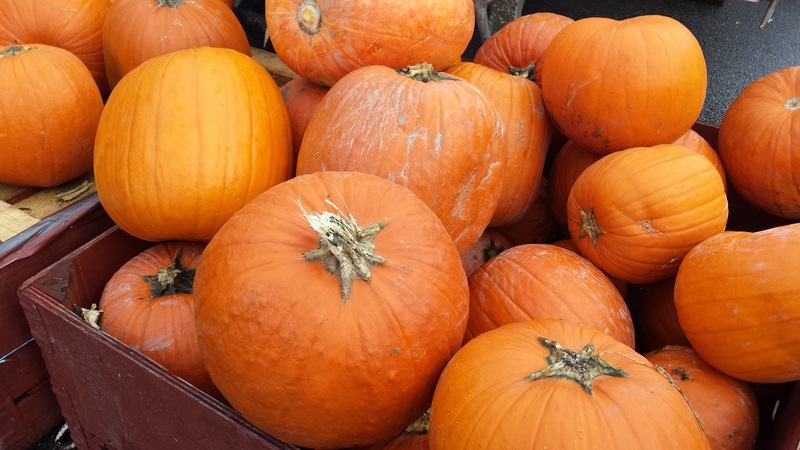 This entry was posted in Food, General and tagged acorn squash, autumn harvest, butternut squash, comfort food, fall harvest, pumpkin, savoy cabbage, spaghetti squ on November 10, 2015 by local delicious.